The Crooked River Lighthouse was built in 1895 to guide fisherman, oystermen, and lumber ships through the pass between Dog Island and St. George Island. The lighthouse replaced an earlier one that was destroyed in 1873 by a hurricane. In 1995 the U.S. Coast Guard decommissioned the Crooked River Lighthouse and it was headed for the scrap yard. 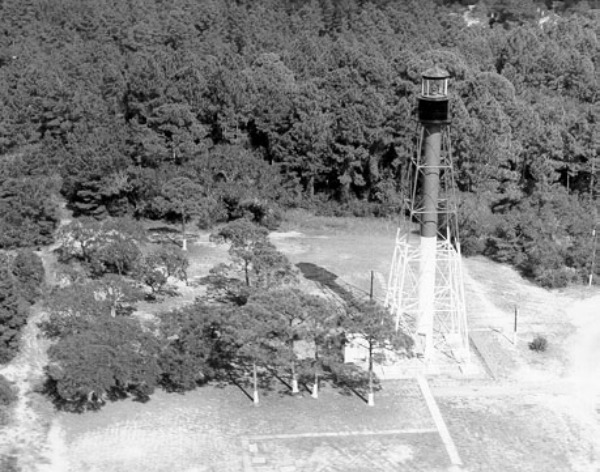 A local citizens group formed the Carrabelle Lighthouse Association whose plan was to restore and preserve the lighthouse and open it to the public. This association and the City worked together to get the lighthouse deeded to the City of Carrabelle. The light keeper's house and museum is open from noon to 500 pm on Wednesday through Sunday. If the weather is okay you are allowed to climb to the top of the lighthouse on those days between 100 pm and 400 pm. The fee to climb is $5.00 per person. More information about the lighthouse and its events is at the Crooked River Lighthouse Assocation website.